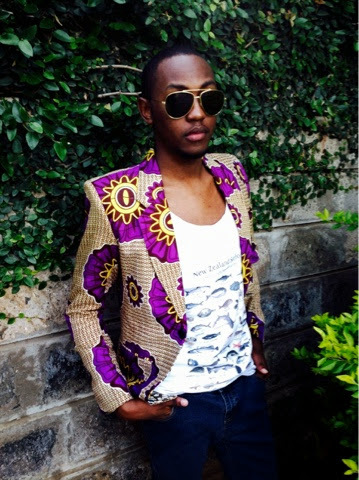 OUTFITS: TANK TOP x AFRICAN PRINTED BLAZER. Aren't tank tops such an easy breezy garment??.. Plus you can decide to wear it with a blazer, denim jacket or even a college jacket. I decided to go for a white tank top with images of fishes on it which I paired with an African printed blazer, dark blue slim denim pants, wayfarers and Nike shoes. I have never thought I would be interested in tank tops although I have seen guys wearing them around in sunny days, but now I somehow like it. I definitely will try out the tank top look whenever the weather is favorable :) . 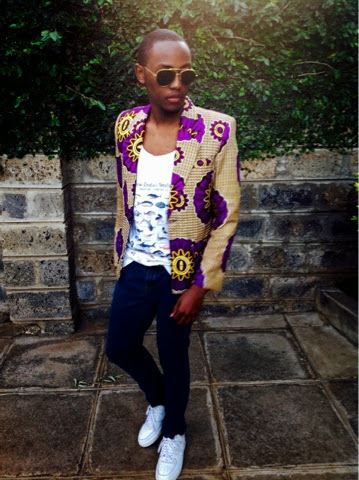 @Dennis Cheggeh am glad you like the look. 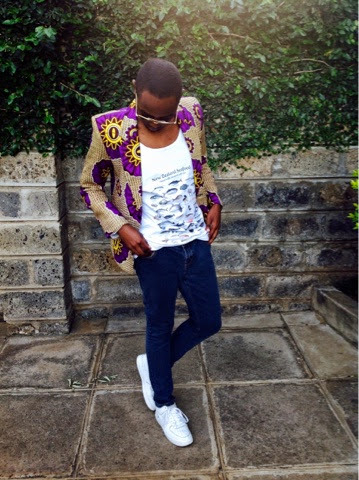 Keep it here for more menswear looks :) .